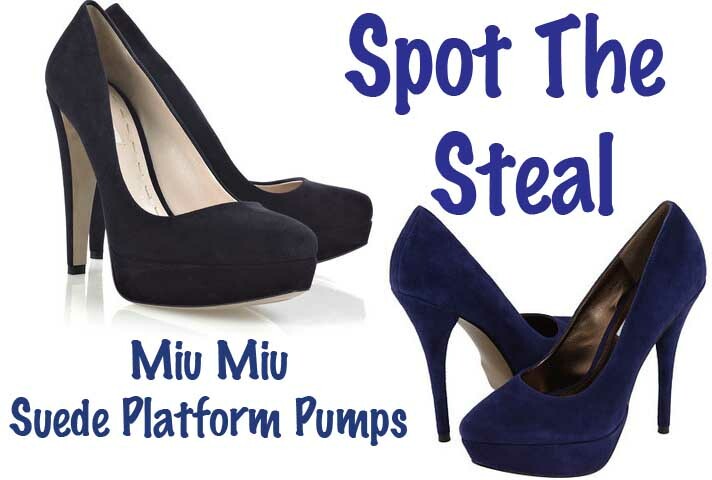 I love a blue suede shoe as much as the next girl, and Prada's little sister Miu Miu has stunned me again with their Suede Platform Pump. However, the almost $600 price tag has me begging for a cheaper alternative. Thankfully Steve Madden heard me and created the Darrina which looks quite identical to the Miu Miu version. And for $90, we can get one in every color - and they do come in every color. What do you ladies think, can you spot the steal?